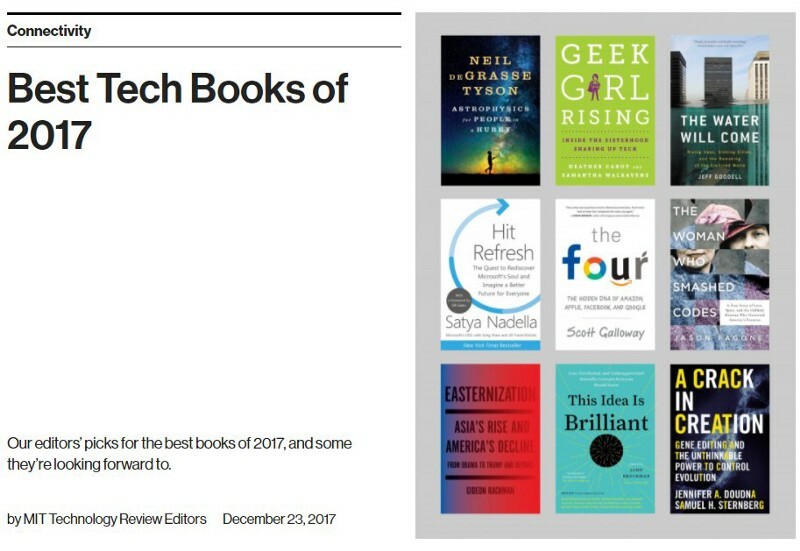 I picked this book by Financial Times’ chief foreign affairs commentator, Gideon Rachman because it was on MIT’s list of best books for 2017 and I realized I had little knowledge about what was happening in the International scene, Nigeria has enough issues to keep me engaged. It turned out to be an eye opener, now I feel I’m in a better position to understand the happenings in the world and this has made me appreciate the role of policymakers and political office holders. I would try to paint a picture of what’s going in the world by majorly sharing excerpts from the book, commenting where I can. I hope you get to understand a bit of what’s happening in the world despite my lazy writing style. Ever since 1945, all American presidents have shared a commitment to an international order built around two central pillars. The first is the promotion of international trade. The second is a global security system based on U.S.-led alliances. Trump threatens to pull down both pillars. The forty-fifth president of the United States is an avowed trade protectionist. And he is also a man who has consistently questioned the value of U.S.-led alliances, calling NATO “obsolete” and suggesting that America’s defense treaties with Japan and South Korea are bad deals for the United States. By 2014, according to the IMF, China had become the world’s largest economy — ranked by purchasing power. The United States is now number two — relinquishing the top spot that it had held since the late nineteenth century. In 2009, China had also become the world’s largest merchandise exporter — a position that the United States had held since the Second World War. China’s rise is part of a broader shift in economic power to Asia. In pledging to “Make America Great Again,” Trump implicitly promises to reverse this process of Easternization — restoring America to its unrivaled position, both in terms of living standards and global power. The fundamental reason for the shift in economic power to Asia is simple: weight of numbers. By 2025, some two-thirds of the world’s population will live in Asia. By contrast, the United States will account for about 5 percent of the world’s population and the European Union around 7 percent. Hans Rosling of Sweden’s Karolinska Institute puts it nicely when he describes the world’s pincode as 1114 — meaning that of the planet’s 7 billion people, roughly 1 billion live in Europe, 1 billion live in the Americas, 1 billion in Africa, and 4 billion in Asia. By 2050, the world’s population is likely to be 9 billion, and the pincode will change to 1125, with both Africa and Asia adding a billion people. The Obama years: Was He strong or Weak? I believe that the Obama years will eventually be seen as a hinge point in history in which the erosion of Western power became much more evident. While many of the president’s critics argue that Western weakness is the fault of Obama himself, there are much deeper forces at work. The most important is the long-run shift in global economic power, which has made it harder for the United States and Europe to generate the military, political, and ideological resources needed to impose order on the world. The Obama administration’s Middle Eastern dilemmas were a perfect illustration of the way world events so often overturn preconceived notions about foreign-policy strategy. As a candidate, Obama had campaigned to get America out of wars in the Greater Middle East, in particular in Iraq and Afghanistan. As president, his major foreign-policy insight was the pivot to Asia. And yet events kept dragging him back to Middle East. The killing of bin Laden in 2011 had failed to create an enduring aura of strength. Instead, America’s image was being defined by events in Crimea, the South China Sea, and Syria. In particular, the president’s failure to enforce his own “red line” over the use of chemical weapons by taking military action against the Assad regime in Syria in 2013 came to be seen as emblematic of a U.S. government that was unwilling to back up harsh words with appropriately tough actions. Every time the United States hesitated to enforce a red line in one part of the world, it raised questions over American security commitments elsewhere. As Clyde Prestowitz, one of Washington’s veteran Asia hands put it, “It makes no more sense for Americans to die over the Senkakus than it does for them to die over Ukraine.” So if Russia could get away with the annexation of Crimea without triggering a military response, and President Assad could survive his use of chemical weapons, what conclusions might Beijing draw? The North Atlantic Treaty Organization, also called the North Atlantic Alliance, is an intergovernmental military alliance between several North American and European countries based on the North Atlantic Treaty that was signed on 4 April 1949. In theory, NATO members were each committed to spending at least 2 percent of GDP on defense. In reality, only the United States, the UK, and Greece (which was worried about Turkey) were meeting that commitment by 2014. In that year, it became apparent that even the British were thinking about slipping below the 2 percent target — despite public commitments made by David Cameron. The reaction in the United States was something close to despair. Both President Obama and Ashton Carter, who had succeeded Chuck Hagel as defense secretary, publicly urged the British to stick to the 2 percent. Their language was necessarily diplomatic, but American commentators were much less tactful. In an article titled “Britain Resigns as a World Power,” Fareed Zakaria, an influential foreign-affairs commentator, noted that Britain’s army was scheduled to shrink to eighty thousand men, its smallest size in two hundred years, since just after the Napoleonic Wars. …[America’s] allies that are too weak to defend themselves — but that enjoy a security guarantee from the United States — risk dragging America into conflicts that it might otherwise avoid. Now I understand why Trump wants America out of NATO, it’s very expensive, the other members aren’t meeting up to their quota. It’s debatable but I believe that free trade does more harm than good to developing countries because the companies in these countries can’t compete with foreign products in terms of cost and quality. China used and still uses protectionist measures to ensure that local production of goods and services was stable and up to standard. It’s not fair to say everyone should engage in Free Trade although it plays an important role in promoting international trade. On January 1, 2016, China formally abandoned its one-child policy, after thirty-five years, partly because of the aging of the country’s population. But the consequences of aging are already filtering through to the economy, as wages rise and the country begins to lose manufacturing jobs. By contrast, 65 percent of the Indian population was under the age of thirty in 2015, creating a healthy “dependency ratio” of productive workers to old people. Demographers think that India is likely to surpass China as the world’s most populous country, with 1.4 billion people, around 2022. In 2018, IMF has predicted that India 🇮🇳 will have the fastest economic growth rate with 7.4% while China 🇨🇳 6.6%, the US 🇺🇸 will have 2.7%. Perhaps, China might not last long at the top. The question the Modi [India] government faces in foreign policy is how to position India as a leading power in a fast-changing world. Should India continue to define itself, as it did during much of the Cold War, as a leader of the “Global South” — the poorer countries of the world that believed themselves to be disadvantaged and exploited by the industrialized nations of the North? Or should India see itself as part of the rising East — an Asian nation that is poised to correct the historic injustices and power imbalances that were imposed during the centuries of Western imperialism? The second approach would require that India stress its similarities to China, as two great and historic Asian cultures, oppressed by the West during the imperial era but now seeing their power on the rebound. India is getting ready to upgrade it’s status. It took a financial crisis to both reveal and accentuate this shift in power to Berlin. It was the German government that was forced to construct and, in large part, fund the bailouts of Greece and Portugal. While the bailout deals were thrashed out at European Union summits in Brussels, all twenty-eight members knew that the key decisions would be made in Berlin, because Germany would be the largest single contributor to the bailout funds. As a result, Angela Merkel became the key power broker, and Germany — the country with the largest population and biggest economy in the EU — emerged as indisputably the most powerful country in Europe. European unification, it had often been said, was intended to create a “European Germany” rather than a “German Europe.” But as most of the EU floundered economically, German leadership and power within the EU became harder and harder to deny. When any international crisis broke out — whether over Russia, or Syria, or the euro — the Germans’ first instinct seemed to be to look the other way. Opinion polls consistently showed the German public far more averse to military intervention than their French, British, or American counterparts. Germany’s yearning for a quiet life, insulated from the world’s troubles, is understandable, given the country’s desire to put the horrors of the twentieth century behind it. And yet the character of modern Germany is inevitably shaped by memories of the Nazi past, which have bequeathed a deep and lasting suspicion of the use of military force. That has made Germany an important part of the story of a more reticent West in an Easternizing world. The German determination to stay out of fights in Asia is particularly pronounced given the country’s postwar aversion to conflict and the crucial importance of the Chinese market to the country’s engineering and machine-tool industries. The British decision to leave the EU was a potentially shattering blow to European self-confidence. It deprived the EU of one of its largest and most dynamic economies. Britain, along with France, is also the only EU country that has nuclear weapons and is a member of the UN Security Council. The international signal sent by Britain’s vote of no confidence was also profoundly damaging to the EU’s global image. It raises important and alarming questions about the balance of power within Europe. For many years, the EU has been seen as the answer to the great-power rivalries that had pitted European countries against one another through centuries of wars. Britain’s withdrawal from the EU raised the possibility that Europe might, one day, divide once again into hostile blocs. At the very least, Britain’s self-isolation within Europe made it ever more evident that Germany was now the preeminent power. The problem is that the erosion of Europe’s own military capabilities has made it increasingly dependent on the security guarantees that America provides through NATO. Looking to the United States to provide military protection in Europe, while undermining American security policy in East Asia, does not look like a sustainable policy. Vladimir Putin’s Russia is clearly determined to reclaim its status as a world power and is prepared to use military force in pursuit of that end. And increasingly Russia is looking east, not west, for inspiration. Russia is the world’s largest country, spanning eleven time zones. The flying time from Moscow to Vladivostok on Russia’s Pacific coast is more than eight hours (compared to six hours between New York and Los Angeles). Yet Russia’s population of 150 million is falling — partly because of low birth rates and the fact that Russian male life expectancy is just sixty-two. The Russian Far East, where much of the country’s energy reserves lie, is particularly sparsely populated, with only 7.4 million people living in the entire region, compared to the 110 million living in northeastern China and the nearly 1.4 billion living in China as a whole. Russia 🇷🇺 too has eyes 👀 been №1 and while it faces the possibility of losing some of it’s lands to China 🇨🇳 it is hailed for standing up to America 🇺🇸. Where many in the West saw only despair and disappointment in Africa, the Chinese had spotted opportunity. China’s rapidly growing industrial economy needed raw materials, and Africa was rich in those. Many African nations badly needed new infrastructure, and Chinese construction companies were available and eager. The speed of China’s rise from poverty also meant that Chinese businesspeople and workers were less likely to be dismayed by African conditions than their more cosseted Western counterparts: dirt roads, hungry people, and corrupt bureaucrats were familiar enough in China itself. As a Chinese official put it to me, “Africa does not frighten us. Latin American countries, which had previously felt that they would always live in the economic shadow of the United States, suddenly found that they had options. On a visit to Brazil, Latin America’s largest country, in 2010, I was told bluntly by a senior diplomat that distant China was now more important to Brazil than the United States. Reflecting this new reality, the newly elected president, Dilma Rousseff, made a state visit to China in April 2011, two months before visiting Washington. The reason was simple. China was now Brazil’s largest trading partner, importing almost twice as much from Brazil, by value, as the United States. And Brazil’s economic boom, which had seen real-estate prices in São Paulo exceed those in New York, was directly linked to China’s hunger for Brazilian soy, sugar, meat, iron, and copper. Much as with Africa, China’s thirst for natural resources and commodities was the driving force of a remarkable boom in two-way trade. In the decade after 2000, China also became the largest trading partner of Peru and Chile which, like Brazil, are large commodity producers. Between 2000 and 2013, China’s trade with Latin America grew from $10 billion to $257 billion a year. China is moving fast to “help” other nations and replace America 🇺🇸 as big brother. The sight of China forging ahead spurred the Indians on. Following the Chinese model, the Indian government held summits with African leaders in 2008 and 2011. Indian companies also poured into Africa. In one emblematic investment, Bharti Airtel invested $10.7 billion to build an Africa-wide mobile-phone network. By 2010, India’s two-way trade with Africa stood at $57 billion, just under a third the level of China’s. Ripple effect, I don’t think it’s just a matter of helping but also a matter of returns and leverage. Like the Brazilians, some Africans worry that China’s relationship with Africa has replicated some of the malign economic characteristics of colonialism, because Africa has sold raw materials and imported higher-value manufactured goods in return. Lamido Sanusi, a respected central bank governor in Nigeria, has complained that this kind of economic relationship is “the essence of colonialism” because it locks African countries into a dependent relationship with China, with China capturing most of the profits. The fact that so many institutions — formal and informal — that are critical to the governance of the global economy and international politics are located in the West is a major source of political power. But will this advantage endure in the era of Easternization? The answer depends on the significance of economic power in deciding who controls global institutions. If economic might is what ultimately matters, we can expect more of the world’s wiring to run through Asia in the future. But other factors also are important. History plays a part. The United Nations set up shop in New York in 1946 and has been there ever since. Similarly, the World Bank and the International Monetary Fund have always been based in Washington, DC. Although the UN, the IMF, and the World Bank are all international institutions, the fact that they are based in America matters — making them more susceptible to the ideas and political pressures that surround them. Conventional economic theory has long held that the growing wealth of Asian nations is a good thing for the United States, since it creates larger markets for American companies and cheaper goods for American consumers. But Trump and his advisers emphatically reject this idea. They blame the stagnation of the living standards of American workers on “globalism” — otherwise known as international trade and investment. In the end, All I can see is everyone trying to be first in the game of who rules the world. It’s an endless journey, I can only sit back and watch how things would unfold. It’s important that the right people get in power, It’s important the right people hold positions of authority. 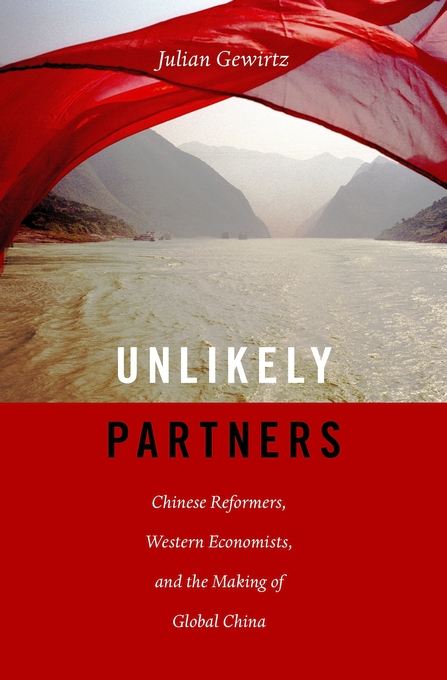 This book has piqued my interest in China, I’d be looking at reading more about China later this year, Unlikely Partners and China’s Next Strategic Advantage are two books I’ve added to my list. 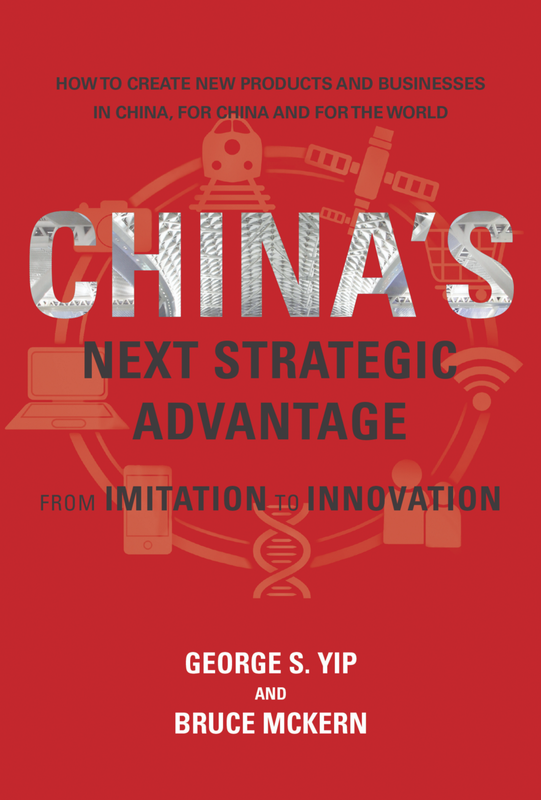 Please recommend any book or resource [not necessarily China centered] that you think would help me understand what’s happening in the international scene.